Today we are into double figures in our 12 Days of Christmas bonanza, which means that we only have three more days of great new giveaways for you. For Day 10, we have teamed up with Kids Pass to offer you £100 in vouchers from Toys R’ Us. So what is Kids Pass all about then? Well, you can apply for your FREE Kids Pass for a limited time only – so get on it now!! 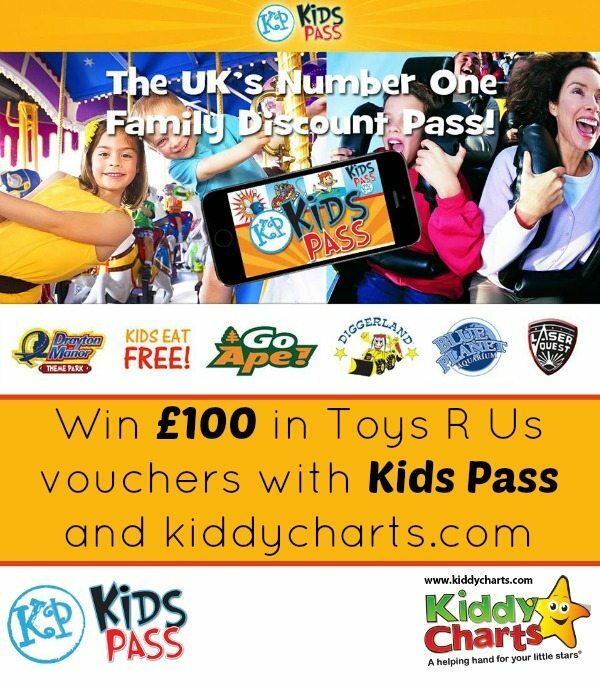 Kids Pass are the UKs number 1 Discount Family Pass, and we have reviewed them on the site before. They have up to 50% off at the UKs top attractions. From January, they will also be launching their Kids Eat Free section at hundreds of restaurants nationwide. To join, visit www.kidspass.co.uk/join so you can get some great deals on famly days out. If you haven’t seen our other giveaways, do check them out and subscribe to our mail list below too. You can also find other competitions from around the web within our internet giveaways section too. Without further ado, follow the instructions in the Gleam widget below to enter the competition…you can get further entries by sharing the giveaway with your friends, and if they enter too, you will get more chances to win. This particularly giveaway closes on the 15th December at 11.59pm. Good luck! We are into double figures now with our 12 Days of Christmas colouring pages, so we have another free colouring page for you all, this time its a few lors who are a leaping about…we are so near the end of our little series. I am going to be rather sad when we have finished, but then at least you will have all 12 lovely pictures for your little ones to colour in.